The prize is a £150 glamping voucher for Dorset Forest Garden. For full details please read the instructions below. No purchase is required, just share a photo you’ve taken of our farm on either Facebook or Instagram with a caption and the locator of Dorset Forest Garden and we’ll pick it up and enter you. You can share more than one image. By entering you are agreeing that your photo can be used by us either online or offline. To enter you must be over 18 and not in anyway employed by, or related to us. All entries must be submitted on social media by 1st October 2019, and we will announce the winner during October. We love our 2018 winning entry by Charlotte R from Petersfield. 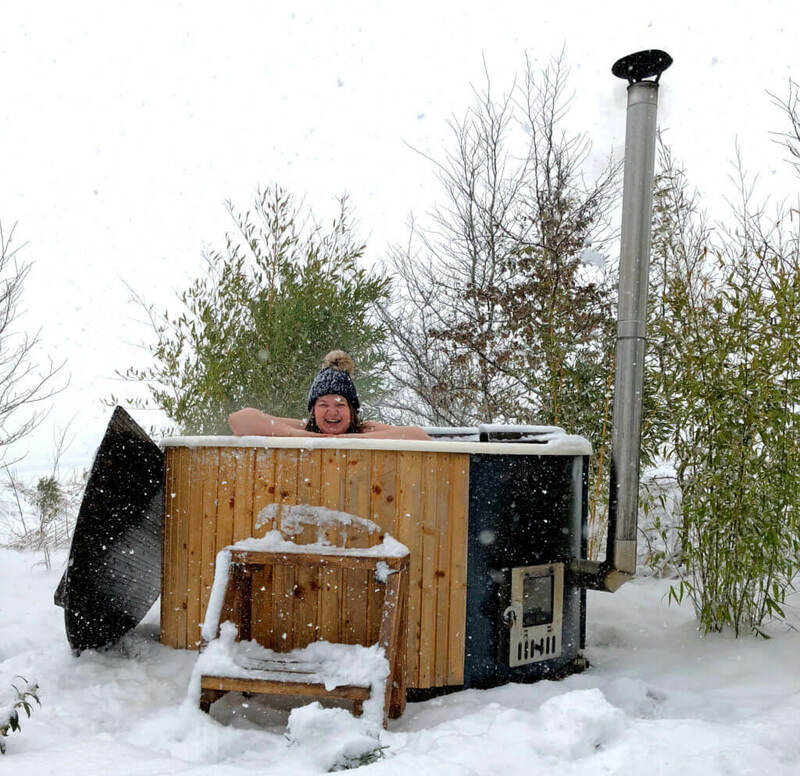 They visited during the snow in March and made the most of the hot tub!